Next departure from Vienna to Krakow is on Fri, 10 May. We recommend you stay with Wombats City Hostel Vienna - The Naschmarkt. Rated 92% on Hostelworld. Wombats City Hostel Vienna - The NaschmarktCentrally located directly at Vienna Naschmarkt, Wombat´s is the place to be with its proximity to all major sightseeing sites. No matter what you want to see in Vienna, it is all just moments away from Wombats City Hostel Vienna at the Naschmarkt. The center can be reached within minutes by foot… read more. The Locationwombat's NASCHMARKT is centrally located, just a few steps away from Kettenbrueckengasse U4 metro station. Right across the street there is the famous NASCHMARKT - a food market selling lots of fresh fruits, vegetables and herbs from all over the world. Also, you will find plenty of nice bars, coffee houses and restaurants. The city center is in walking distance. Schoenbrunn Palace is only a few stops away. It's simply the ideal place for anyone who wants to explore Vienna by day or night! Prices from €14.53 per person. Centrally located directly at Vienna Naschmarkt, Wombat´s is the place to be with its proximity to all major sightseeing sites. No matter what you want to see in Vienna, it is all just moments away from Wombats City Hostel Vienna at the Naschmarkt. The center can be reached within minutes by foot or the nearby U4 (at underground station Kettenbrueckengasse) provides a short connection between Schoenbrunn palace and the city center. It is ideal for anyone who wants to explore Vienna by day or night! There are five big reasons why Wombats City Hostel became a destination in its own right: First, we got the best cleanliness! Unfortunately this is not something you can take for granted in many other hostels, but we do take this very seriously. We have won the Hostelworld award for the Cleanest Hostel Chain Worldwide twice. Secondly, we also have the best amenities. We re centrally located close to trains and public transport. There is maximum security provided, with smartcard access for the front door, the floor, the rooms and your locker. All of our rooms come with comfy wooden beds, a private shower and toilet facilities. Other free goodies include free Wi-Fi, free bed sheets, free use of our travel guidebooks, free luggage storage, a free welcome drink and free lockers in every room. We also offer free maps for Vienna, Munich, Berlin, Budapest and London, loads and loads of free brochures on tours, sights, accommodation and other destinations in Europe, and our free walking tour. We offer an all-you-can-eat breakfast for an additional fee; our lively womBAR serves cheap drinks and food, internet terminals, laundromats, 24 hours reception service and - of course - no curfew, no lockout and no stupid rules. Thirdly, we are a hostel by travellers for travellers. We have travelled the world ourselves - so we know firsthand what you are doing and what you expect from us. We care for you and we care for your feedback. The fourth reason is our social atmosphere. We make sure that you will feel safe and welcome here. When you have been on the road all day long, seeing sights and walking and walking, it's cool to have a nice scene at the hostel where you can relax, have some beers, talk and make new friends. This will make your stay a memorable one! Many travellers stayed quite a bit longer than primarily intended. Finally, Wombats is no dirt cheap. You might find an even cheaper place to crash in town, but none where you get more value for your money. Please be aware that we have a minimum age of 18 years. Notes: Please note that there is no check-in before 2pm (we need to clean the rooms first!). You can leave your stuff in our luggage storage though and come back later. Please note: minimum age restriction is 18. This property may pre-authorise your card before arrival. 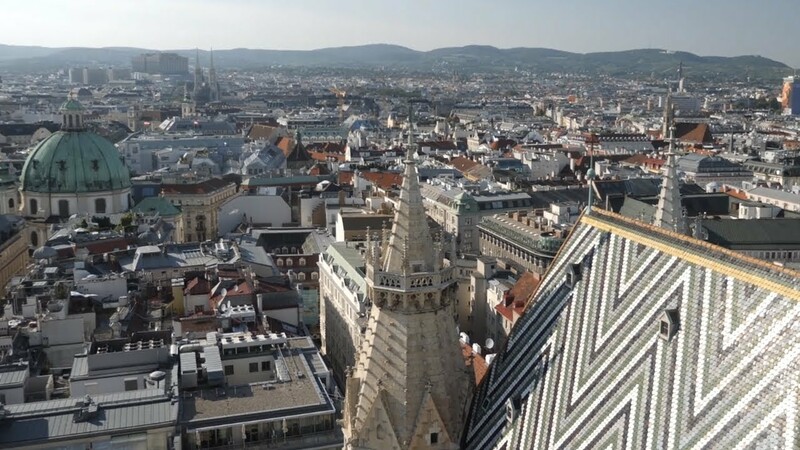 Vienna is a city that straddles both the past and present with ease. No other city effortlessly combines a rich history that has left behind such remarkable gifts as the gothic Stephansdom with contemporary gems such as the Leopold Museum or the Museums Quarter. State Opera House Vienna is famous for opera, and the Vienna State Opera is the place to see it. Museums Quarter and its museums Some of the greatest art in the world, but especially from notable Austrians like Gustav Klimt and Egon Schiele, is to be found in the many museums here. Prater Amusement Park Make like Orson Welles and ride the oldest Ferris Wheel in the world, or just enjoy a stroll on a sunny day. Literally: Viennese schnitzel- a very thin piece of pork that is crumbed and fried, normally served alongside potatoes. You might want to wash it down with an Austrian Almdudler, kind of like a cream soda. One of the world’s major libraries, former library of the Habsburg court- what more could you ask for? Look for the two beautiful Venetian baroque globes, and the library employees slipping through concealed passages hidden behind bookcases.